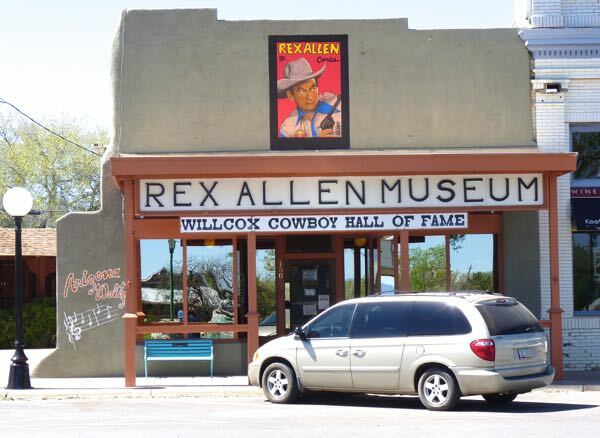 A visit to the Rex Allen Arizona Cowboy Museum was an interesting stop along my route. 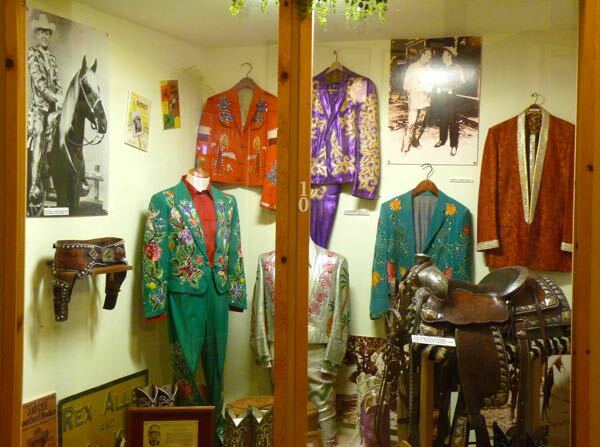 Housed in one of the original 1890s adobe buildings, it mainly featured the career of the famous singing cowboy movie actor who hailed from near that small town. Posters, photos, costumes, props, and displays about his life were on display. And, you could buy cd’s of his songs and movies. The rear rooms were dedicated to cowboys and their history in the region and Arizona. All and all, it was worth the small $2 entry fee. Outside and across the street was a park with shade trees, benches and a picnic shelter which some locals were enjoying. 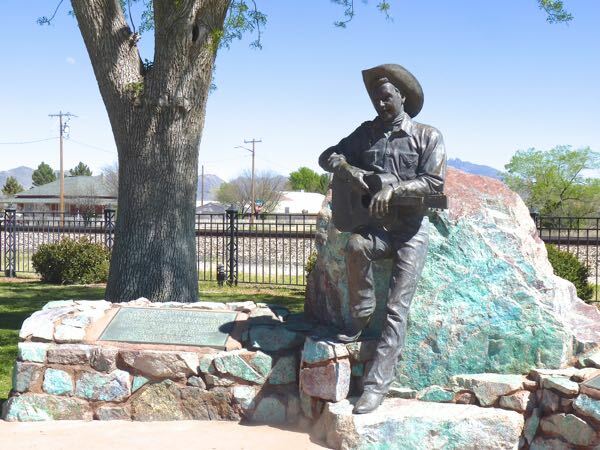 A bronze sculpture of Rex Allen with his guitar sat atop the resting place of his beloved horse KoKo. A train passed by on the adjacent tracks, blowing its whistle as it went, providing nostalgic affect for the small town scene. I walked around a couple of blocks and saw several antique shops. And, a lot of closed-up store fronts. 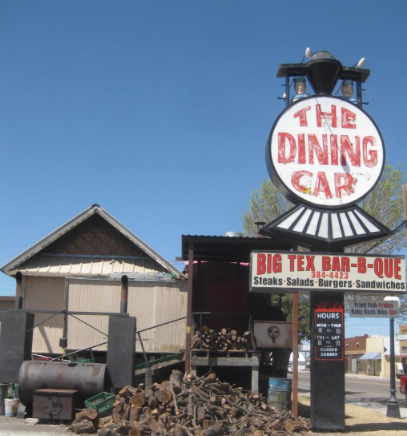 While in town, I ate lunch at The Dining Car-Big Tex Bar-b-que inside a real railroad dining car. The large Texas style brisket sandwich with sweet potato fries and an iced tea was pretty good. Camp for the night was down the highway outside of Bowie at a free BLM spot called Indian Bread Rocks. There was a picnic area, pit toilet, lots of rocks to climb, good internet, and room for about 5 rigs to dry camp. I shared the place with just one van camper. 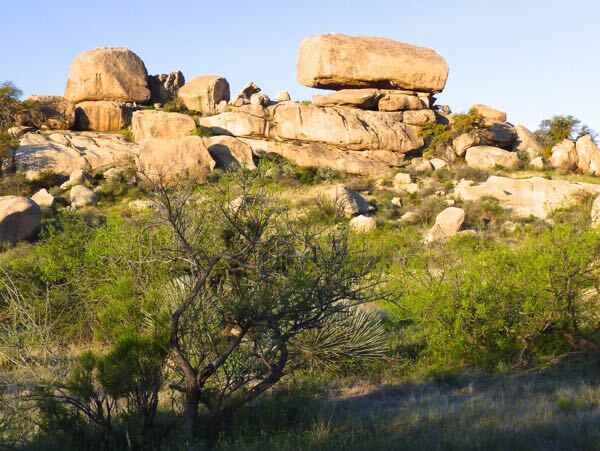 It had interesting rock formations with the Dos Cabezas Mountains and Wilderness beyond. 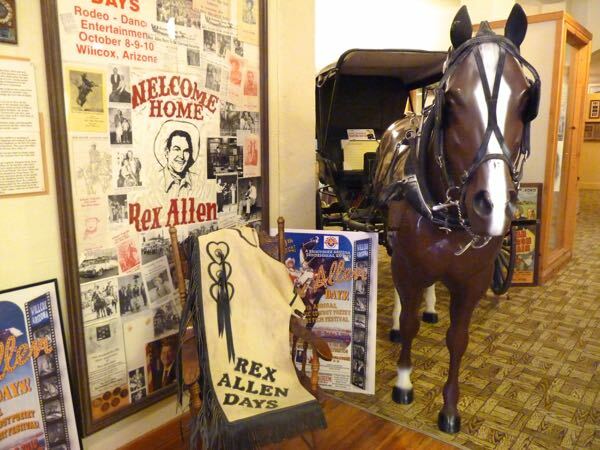 I grew up watching Rex Allen and really have good memories of him and his songs. It was a wonderful era of our society of today has no idea. Glad you enjoyed you time there. In the days of the singing cowboys the good guys wore the white hats, had a moral to the stories and the right always won over wrong in the end. What a concept!